Summer holiday season is upon us and it may seem the only option is early morning gym sessions and turning down an afternoon kit kat in favour of a piece of fruit! But getting holiday ready doesn’t mean we have to give up the food we enjoy and slog away on the variety of gym machines we’re not entirely sure we know how to use – with Metabolic Gym in Camden, they do the hard job of organising your exercises for you, so all you have to do is turn up and do as they tell you! "There are so many cool studios opening up so we needed to stand out. We made sure we had a back to basics theme which focuses on results with well thought out plans - we programme different workouts every day! This last year has been incredible - the support from our members, the write-ups in all the major puplications and we even won a Tatler Gym Award! The best thing though has been building a community of decent, likeminded people." I turn up on a Tuesday evening after work and explore Metabolic’s space – they have one large room with every piece of gym equipment you can image. There’s weights, rowing machine, a running track and bars – intimidating at a first glance. But Scott has reassured me that their classes are for all levels of fitness as they have been designed to let everyone go at their own pace, with the team only pushing you to challenge yourself, not pitting you against the other class members. I head to the changing rooms to get myself ready for today’s class and am pleasantly surprised. Usually gym changing rooms can be sterile (lacking a bit of a woman’s touch) but Metabolic has a park bench where I change, flowers around the spacious room and tidy, clean showers. Today’s class I am attending is the signature class ‘Metabolic’ which Scott tells me is an intense workout which is “going to be savage!”. My favourite style of class, we are split into groups and do circuits of exercises designed to hit every muscle group, with short intense stints on the exercises and then short recovery time inbetween. Between weights, work on the rowing machine and a couple of burpees thrown in for good measure, it's a non-stop class which keeps your heart rate up throughout. Encouraged by some booming dance tracks Scott helps the group, spending time with us one on one to keep us on track and offer critique to make sure we’re getting the technique spot on. It’s a gruelling 45 minutes but I come out the other end victorious (and pretty sweaty!) and definitely feeling like I’ve done a workout. Metabolic offers a fantastic chance to get in shape or improve your strength, whether you’re a beginner or whether you just want to be told how to work out instead of having to use your own knowledge and research. 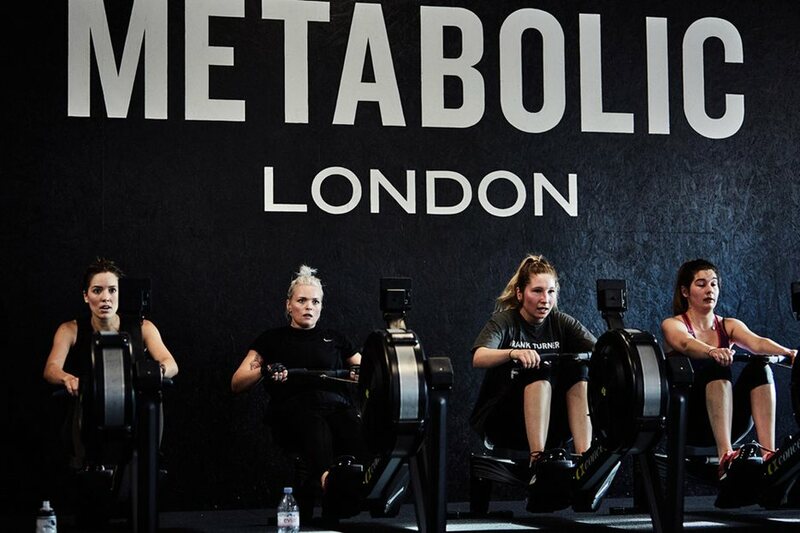 Scott tells us, "Watch out for new classes on the horizon, as well as trying out our award-winning Meta-Row 'calorie-burn class' - we actually had to shorten the time of the class because it was too tough!" With such a variety of equipment, great encouragement and such short, intense classes, you’ll see a difference in no time if you stick with it, so check it out now! Just for Portico Places cardholders, get your first class half price now. Mention Portico at the time or booking or click here to book it now! First class half price by clicking here.